UBass lesson – Play UBass! How to read my ebook (ePub) on a PC (or MAC)! My first ebook was released on the iBooks Store in January and for PC/Android in April. There is a great way to read the ebook if you have the ePub version (PC). Here’s a quick how to. Open Google Chrome (or download if you haven’t got it on your computer yet). Add ePub (drag to window or click + and navigate to Learn to play the Ubass – Basic Techniques) It will take a while to load! Click the icon to start reading. Videos should play and the word list will work. The Lesson links are not clickable in this version. I will remove these false links or try to make them work in the next update! Although this method will work on a MAC (OSX) i do recommend using iBooks if you are a MAC or iPad/iPhone user! 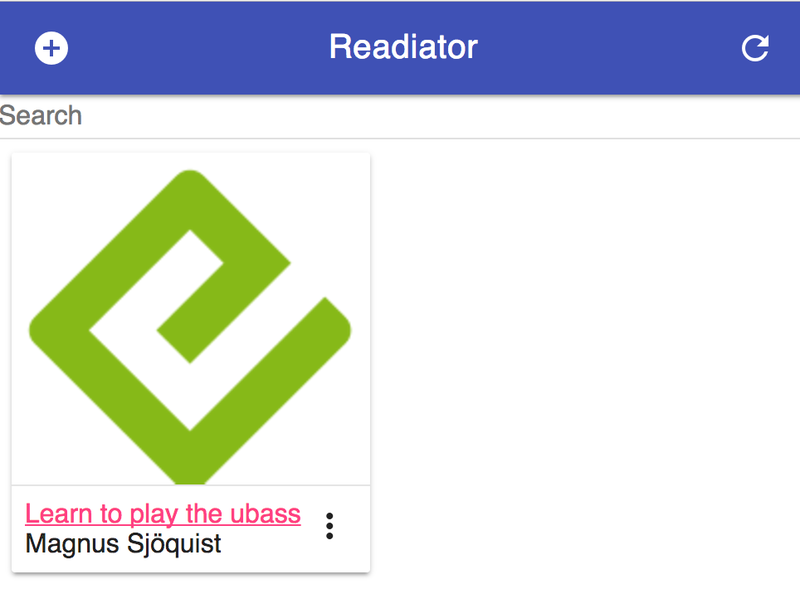 The Chrome extension will even keep tabs on where you were last time you used Readiator. 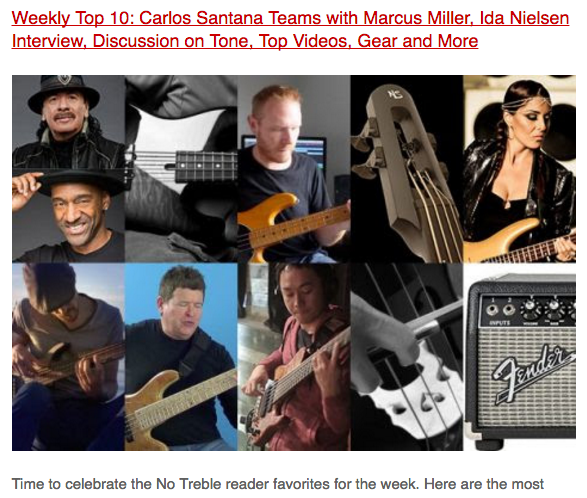 My latest jammin’ videos was featured on notreble.com last Sunday, yay! Today it even got a place on the weekly top 10 list, yay yay! Play close to the fret! This is my first lesson on UBass playing technique. I will cover some basics that I hope you will find helpful. I know I would have liked someone showing a bit of ”up-close-technique-stuff” when I got my UBass last year. Of cause my tips is based on my playing style and how I approach bass playing in general. I have played bass for some 25+ years so I guess I have developed some kind of ”personal technique” that works for me. 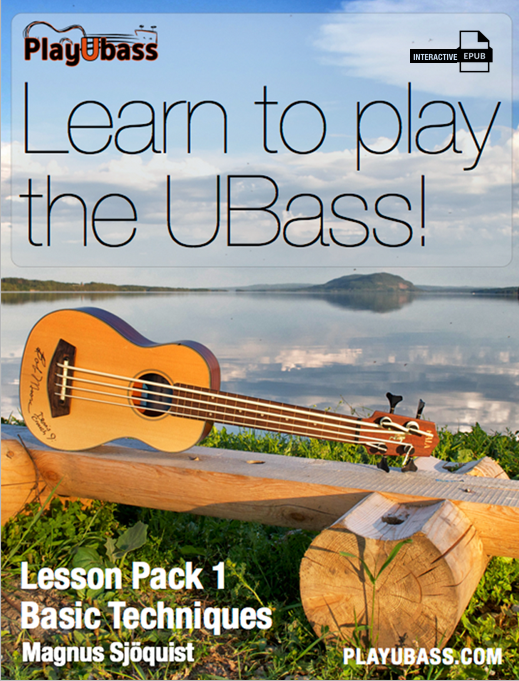 Hopefully some of what I am about to show you will help you in your UBass explorations! New video! Read more about this video in my previous post. The sheet music displayed in the video is transcribed from the original recording. Irony (Beady Belle) If you have a Spotify.com account click the link above. If not you can preview or buy the song on iTunes. As you’ll probably hear I’m not true to the notated bass part ”as is”! I add and take away bits and pieces throughout the performance to make it more alive and ”my own”. I also try to listen closely to what guitarist, Clas Olofsson, does when he is dubbing the bass part. Trying to mimic his slurs here and there! Also pay attention to the great percussion part (Niclas Ekholm) and the marvelous hi-hat work of Micke Dahlen. But don’t forget the keyboards (Christer Christensson) and vocal part Eva Stenstrom) too, they’re also fantastic! Simply put: A great performance! And keep in mind that we only met 7 hours prior to the show for only one rehearsal! Let’s try out some ”New Orleans”-inspired funk on the UBass! You can read more about what inspired this groove lesson here. I’ve listened to a lot of funk with roots in New Orleans. I think that the ”rubbery” groove, that’s all over this style, makes me feel so good when I listen and play this music. It’s that really ”feel-good-wibe” that’s so cool! One of the most famous bands in this style is The Funky Meters (or Just The Meters as their name was when the started in the late 60’s. I’ve also listened to groups like Soulive, Lettuce and Dumpstaphunk…to name a few! OK. The song is based on a groove played by one of my favourite drummers Adam Deitch (read more about him and why I choose this groove here). Download PDF here! I jammed quite a bit on the groove and decided to record one of the jams. After that I transcribed the bass part and started to add some guitar parts. Then I added a organ and a clavinet part. Finally I through in some vocals too! Hope you like it. 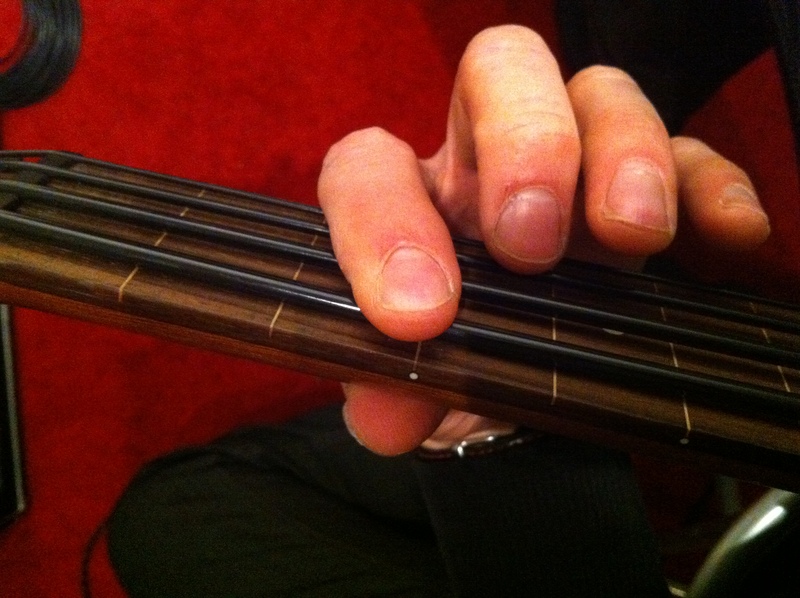 Stay tuned for more grooves (with other basses and other musicians on my other blog) based on the ”Deitch-groove”! Listen to this clip [@ 5:20] for more of Adam Deitch’s drumming on a Tama Starclassic Bubinga Drum Set! Let me know if you want me to ”break down” some part of the bass parts to clarify how I play. I can make some new ”in-depth” movies if someone is interested! 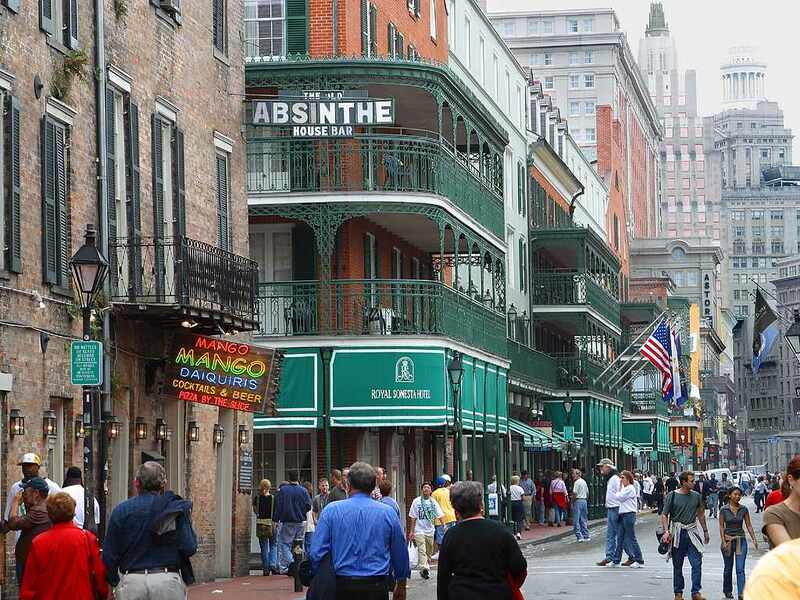 Hopefully I’ll be able to go to New Orleans (for the first time) the next time I go to the US! Now go ahead and play som funky music!